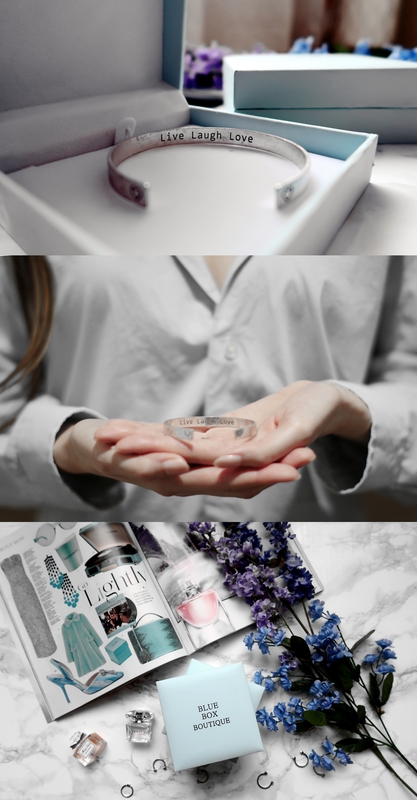 February 4, 2019 February 3, 2019 / Elizabeth T.
As Valentine’s Day slowly approaches, a large portion of the web is flooded with gift guides of every kind, and while I love all of these helpful shopping tips and tricks, I wanted to turn to that one word that this holiday all comes down to – love. Gifts can be a great way to present your loved ones with a little token of appreciation. But rather than just focus on those around us, I also wanted to remind you all that Valentine’s Day is a good time to give some attention to the one person that you neglect the most. And that’s none other than… you. 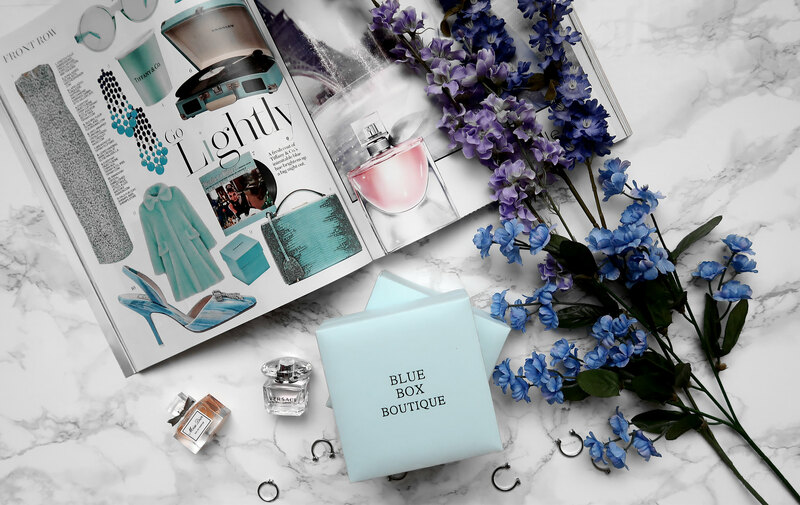 That’s why this Valentine’s Day, I wanted to remind you all that self-love is so important and essential to your well-being, and I’m doing so by sharing all of these beautiful and delicate pieces from Blue Box Boutique‘s Valentines Collection. All of these jewelry pieces resonate with me on a deeper level and reflect some of my favorite self-love quotes and mantras. 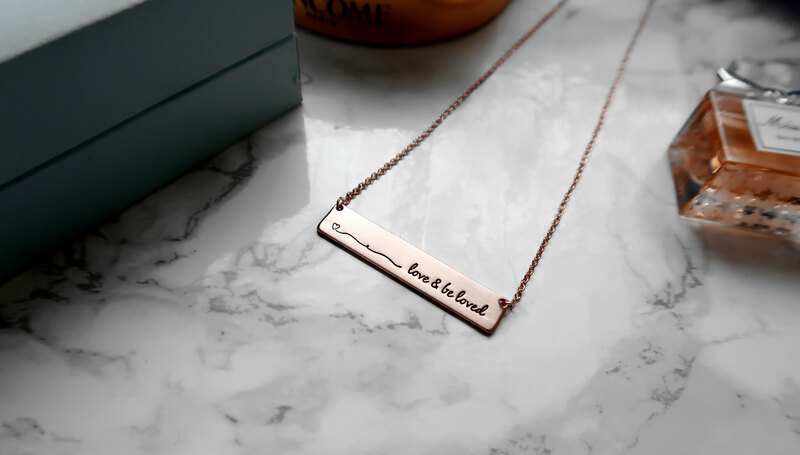 This simple bar pendant features the words “love and be loved” in elegant cursive writing, which reminds us that other than loving others, we have to extend that same love to ourselves as well. 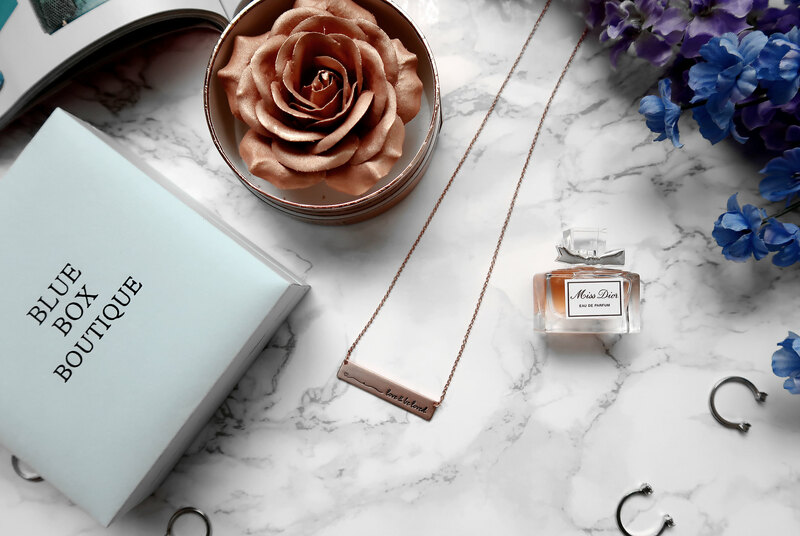 This minimal and classic design is delicate yet precious and is the perfect little reminder to extend self-love to the most important person in your life – you. I’ve also been loving these elegant yet subtle studs because they mimic the beating of a heart, serving as a reminder to listen to my heart in difficult moments instead of always turning to external factors to guide my decisions. We need to remember – as long as we’re faithful to who we are, it will never be a wrong choice. And last of all, this “Live Laugh Love” bangle is one of my favorites. The secret message is inscribed underneath the bangle, so it serves as a subtle note of self-encouragement to remember to enjoy the small moments in life because they’re the moments that we’ll look back on with fondness at the end. This Valentine’s Day, I want to remind all of you to not only use this special day to show your appreciation and love for those around you, but I also want to encourage all of you to practice self-love because your greatest responsibility is to love yourself and to know you are enough. Blue Box Boutique was also kind enough to extend their support for this self-love initiative by sharing a 20% OFF discount code (CLOTHESTOYOUUU) for all of you, so remember to spread self-love and get some of these amazing pieces for yourself and the other amazing women (and men) in your life! Beautiful Jewelry! I love how simplistic they are and i can definitely pair them with a lot of items in my closet. I also love all the quotes you provided as well, so many people neglect self care with is so important for our own mental health so thanks for sharing! Yes, self-care is so important! Thank you so much for your kind words! Such a good read! Loved it. I see no lie here. Great thoughts. 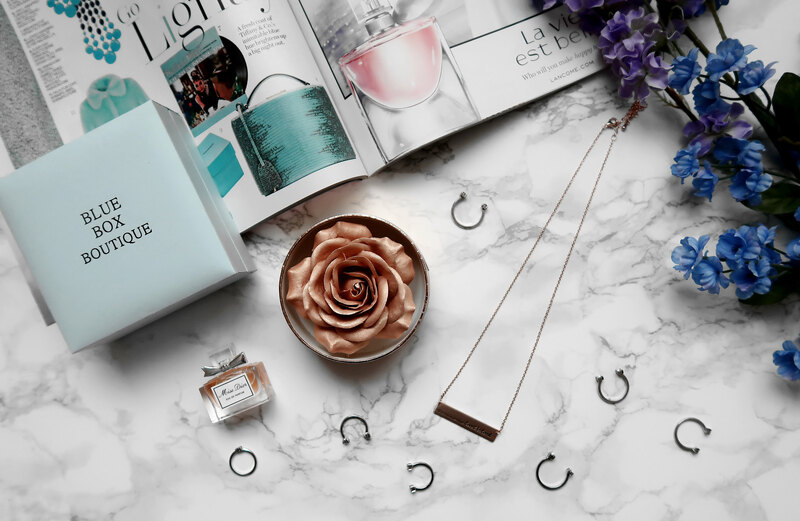 You are so right, there are too many posts on what gifts to get for Valentine’s day that it’s a treat to see one about self-love ❤ Love your jewelry pieces, they are so dainty and perfect. Thanks babe ❤ 🙂 Self-love is so important! Love these pieces too! This is so inspiring, thanks for sharing! Such a good post. 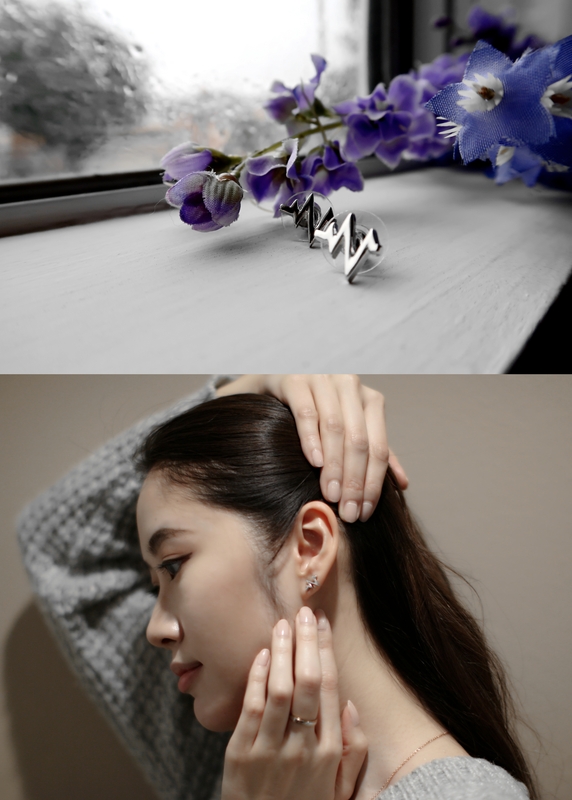 These jewelry pieces are so dainty and beautiful. I love the statement of this post as well, It’s so important to truly appreciate and love yourself. It can be really hard though. Thanks for sharing! Yes, self-love is so important ❤ 🙂 And thanks for stopping by love! Glad you enjoyed the post and liked the pieces as well! They're my recent favorites! Great post! I am also trying to focus on self love this year. It is so important that we love ourselves first, so we can spread love to others along the way. Yesss, self-love is sooo important! ❤ 🙂 Thanks for stopping by babe!